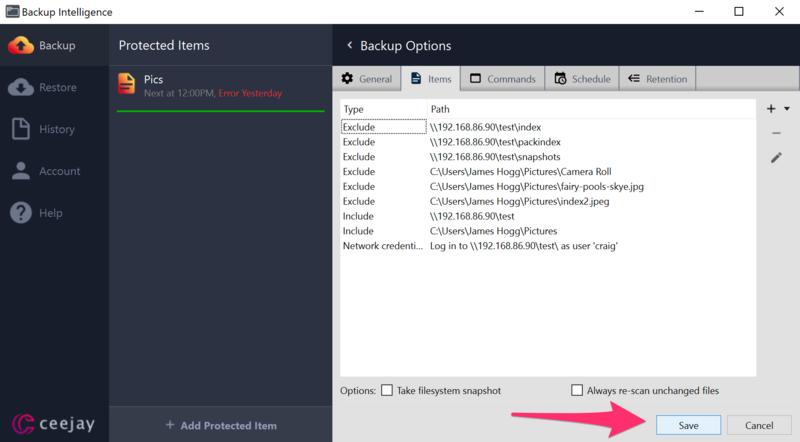 If you are using Microsoft Windows and wish to backup a Synology across your network, first on the Synology web dashboard, turn on SMB 3 and SMB 2 which is in the Synology Control Panel, File Services, SMB/AFP/NFS Select Advanced Services. 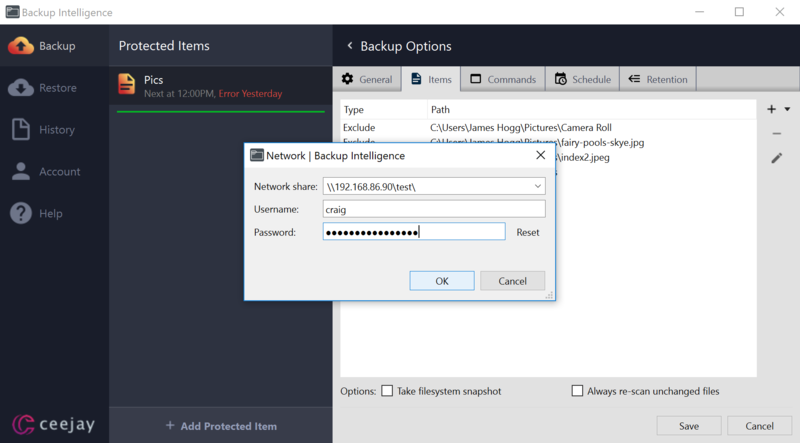 In Backup Intelligence you are able to set your Network Drive's login credentials for each Protected Item requiring access. Once these credentials are set you can then add files and folders from the Network Drive to the Protected Item. Now you will need to add the UNC and path to your Network Drive, plus the Network Drive account's username and password. Once you've clicked okay you should now see your credentials listed. 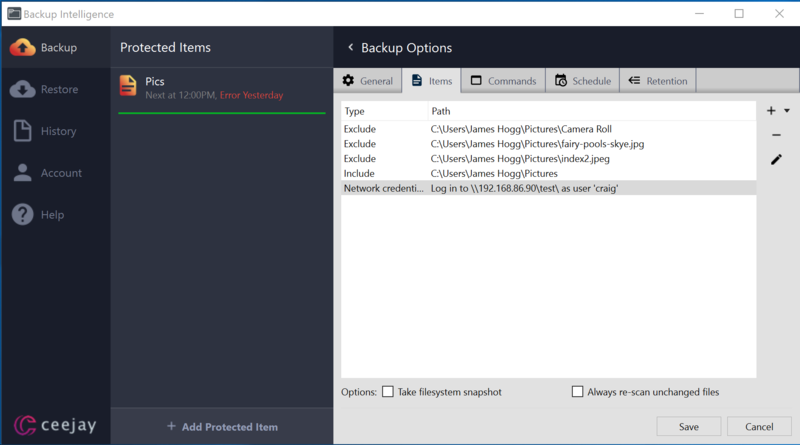 Now we need to add the file paths you require for your selection. From the dropdown previously click "Choose Items..."
You will now need to enter the same IP and path from previously. 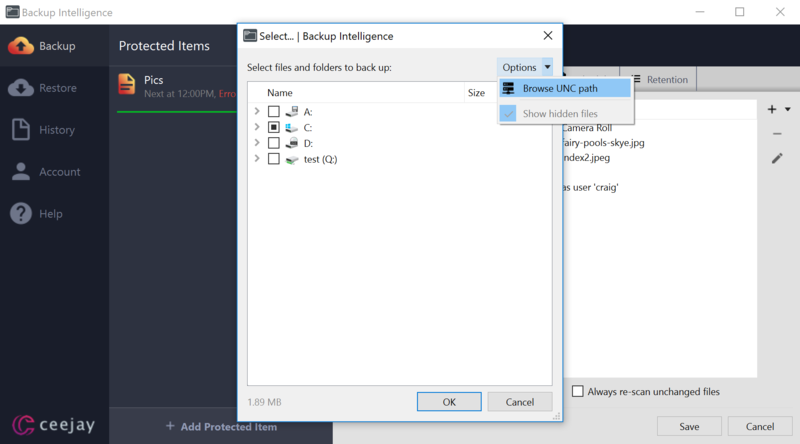 Your Network Drive hierarchy should now be available for selecting. 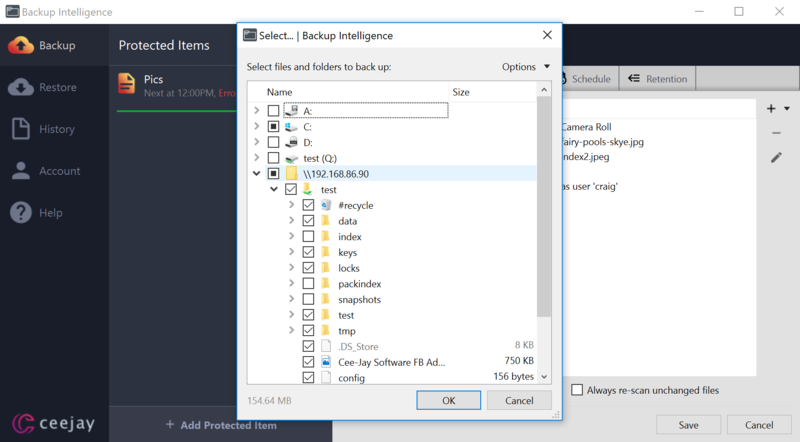 Choose the files and folders you need then click OK. Finally, remember to click "Save" to record your new settings. 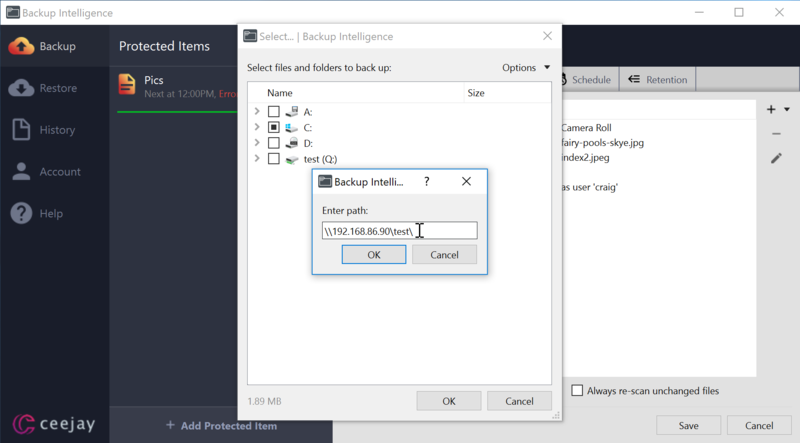 We recommend performing a manual test backup to verify the client has accessed and scanned the new files on your Network Drive.